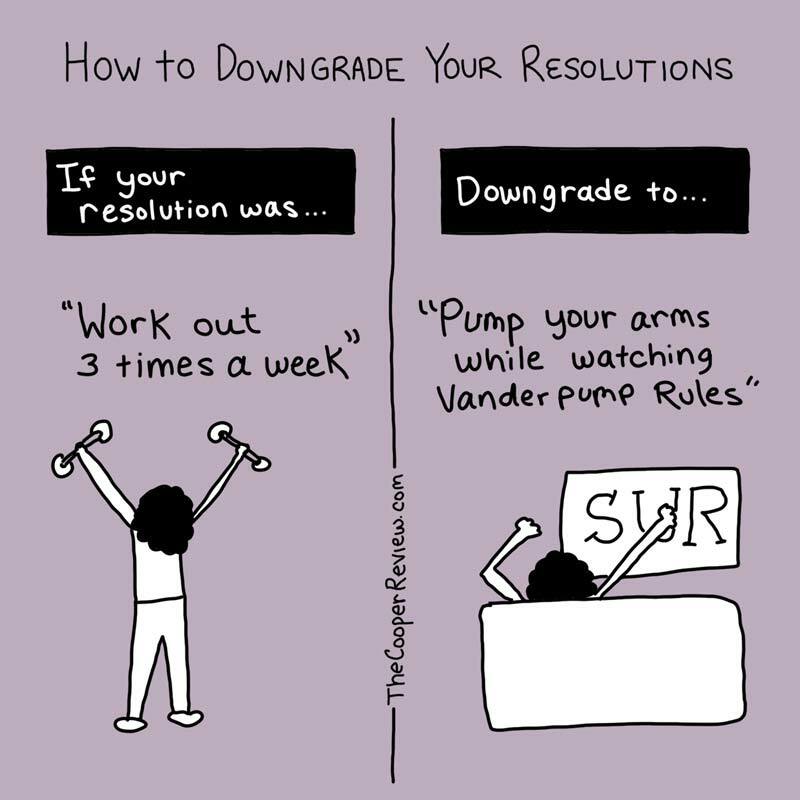 Now that the year is half over, it’s time to take a realistic look at your New Year’s Resolutions. 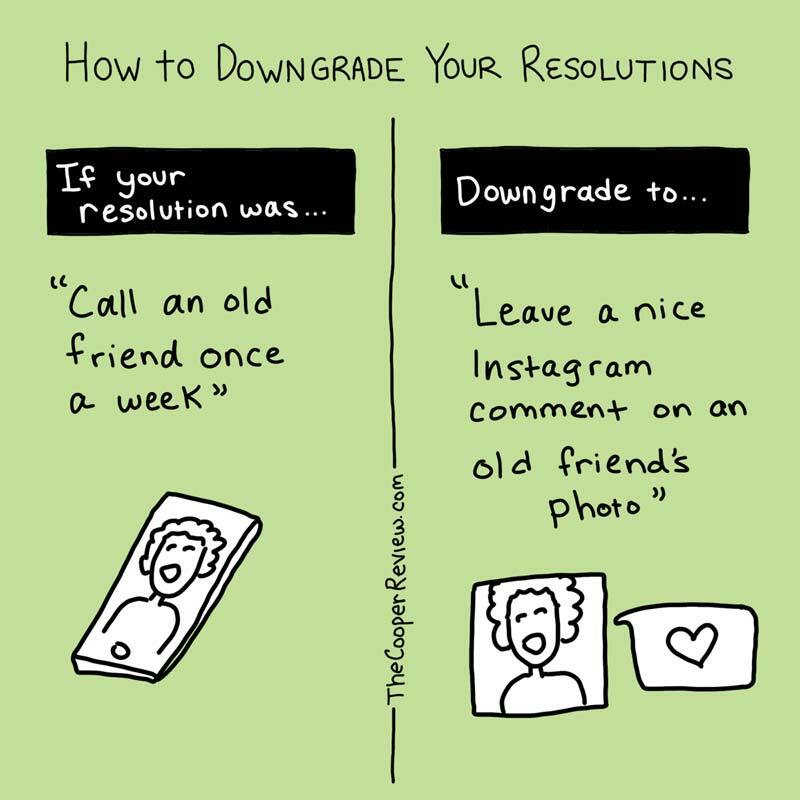 Let’s face it, the person you were when you made your New Year’s Resolutions is not the person you are today. 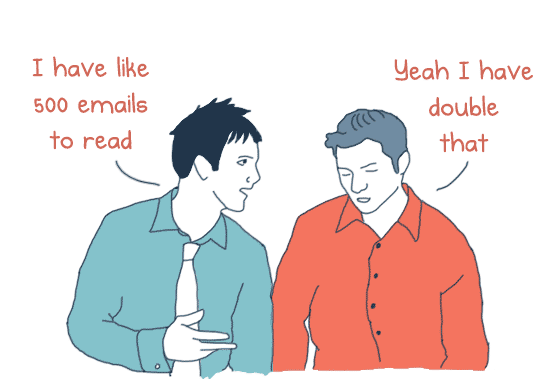 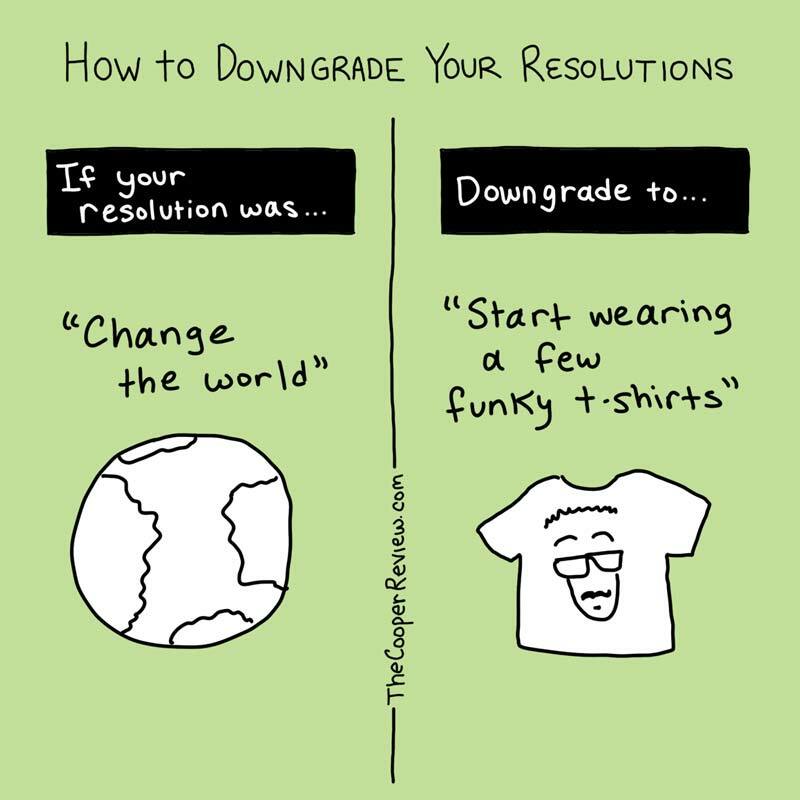 Back then, you were ambitious. 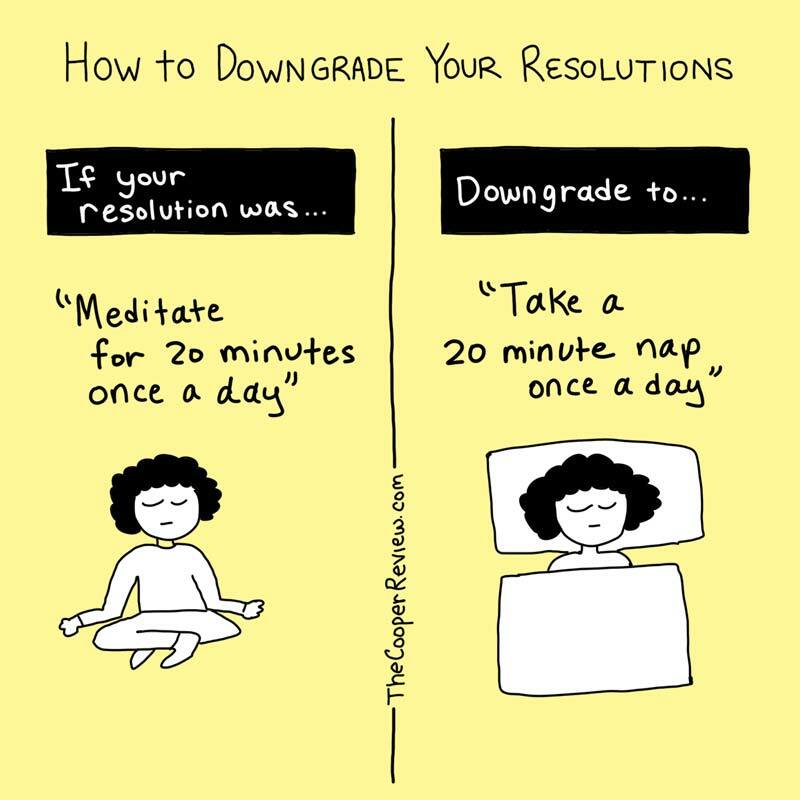 Today, you’re out of time. 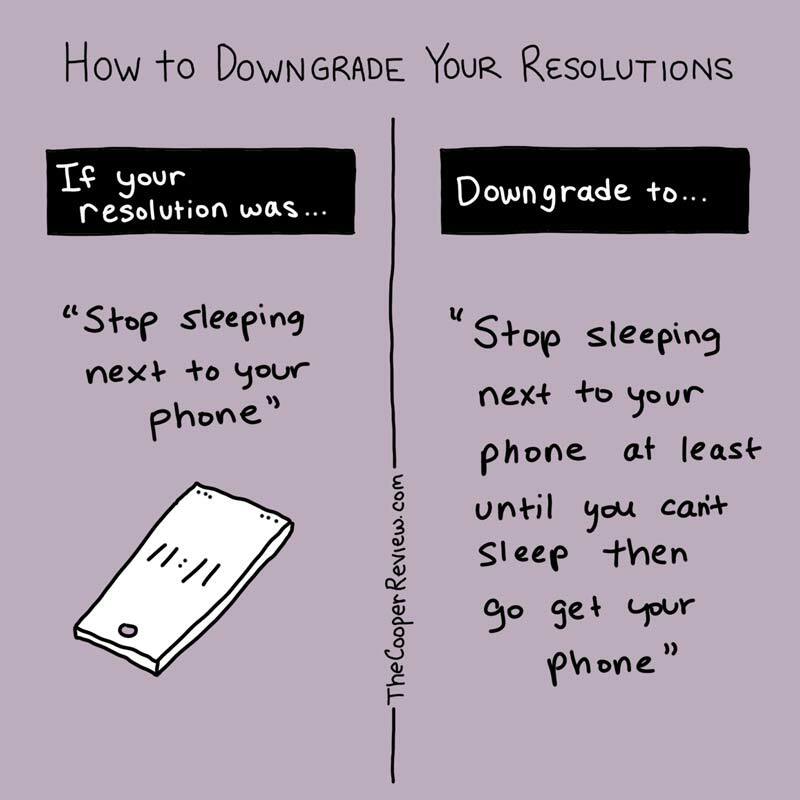 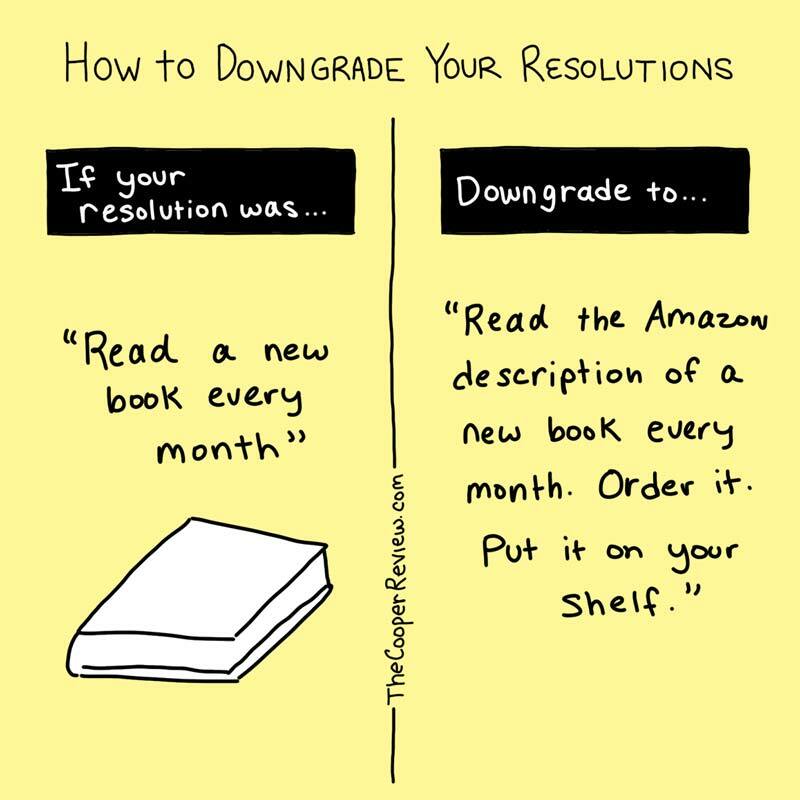 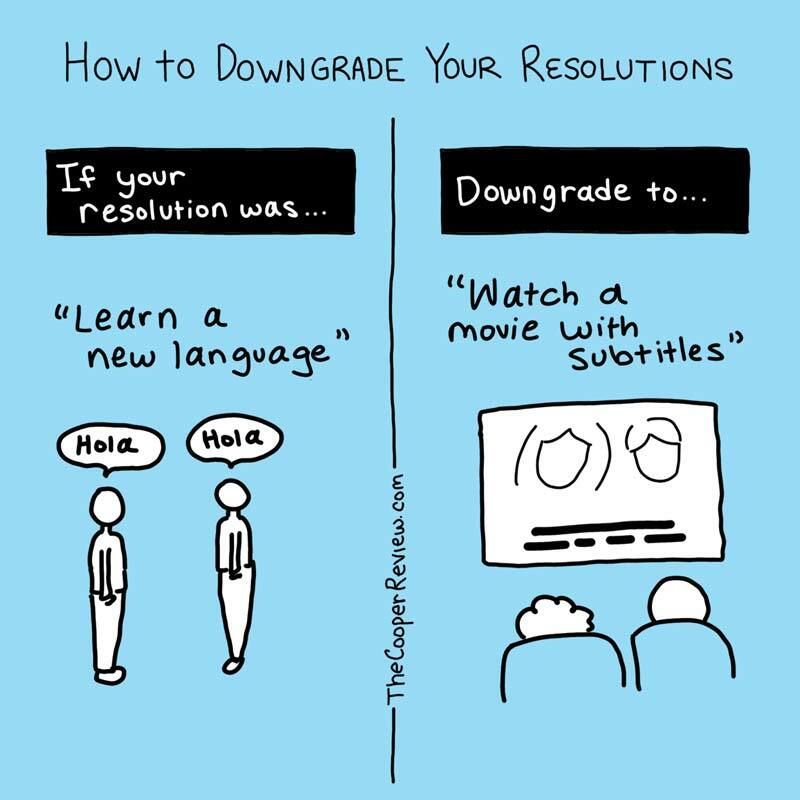 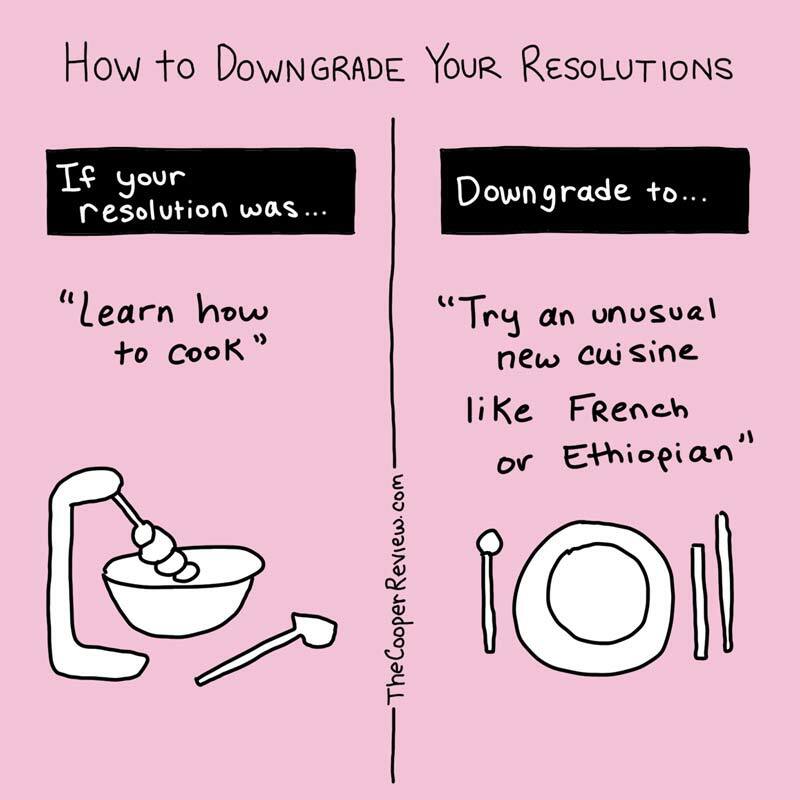 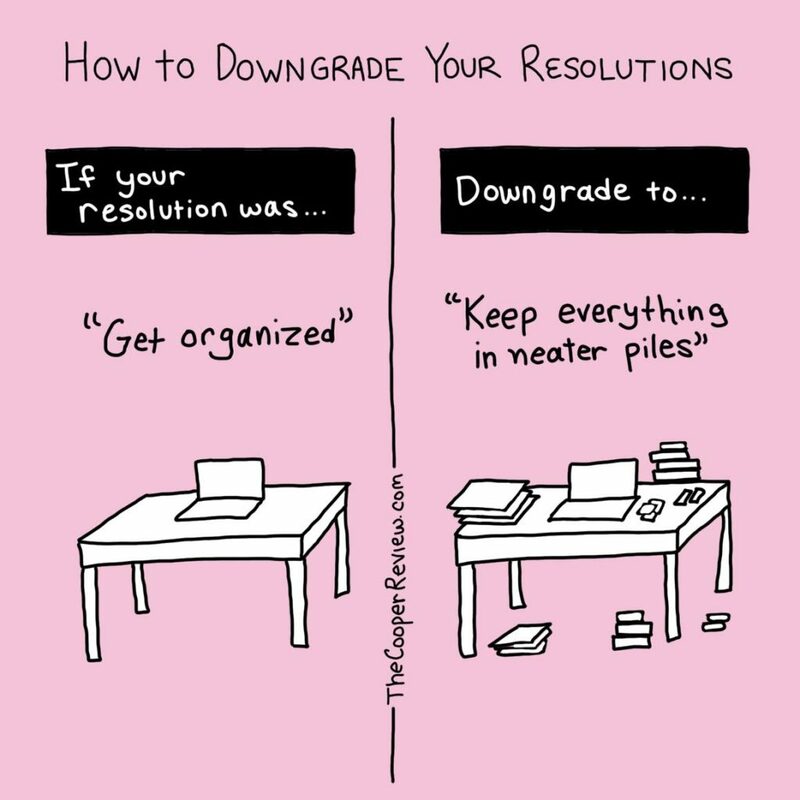 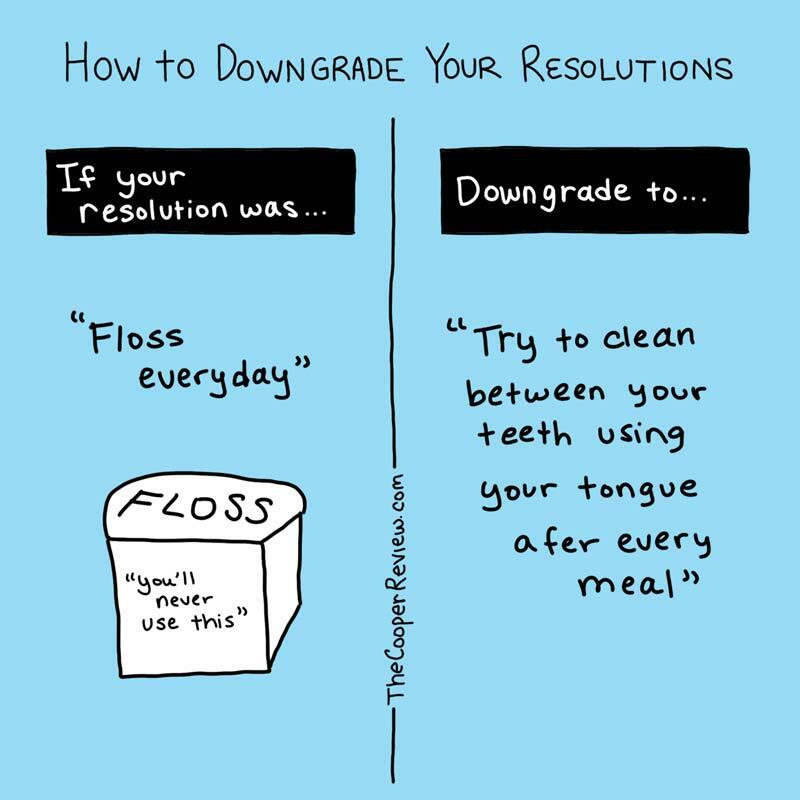 So here are some suggestions on how to downgrade your resolutions so at the end of the year you can say to yourself, yes, I accomplished all my goals.